A new study found that internet search rates for “vitamin D” dramatically increased from 2004 to 2010 with a seasonal peak in late winter. Scientific interest in vitamin D has increased in recent years. Research has shown that vitamin D plays a role in a variety health outcomes, including cancer, cardiovascular disease, mental illness, diabetes, pregnancy, autism and mortality. Despite this newly found knowledge, studies have also suggested that much of the general public remains uninformed. A recent study sought to explore whether the public interest reflects the increasing scientific interest in vitamin D. The researchers specifically wanted to understand the vitamin D trends in internet searches. The data for internet search activity was obtained using Google Trends, because approximately 65% of all internet searches take place on Google. Internet search activity for vitamin D significantly increased from 2004 to 2010 (p < 0.001). People searched for vitamin D the most in the United States and Australia in the northern and southern hemispheres, respectively. Since 2010, vitamin D searches has varied according to season. The vitamin D searches peaked in February in the U.S. and August in Australia. 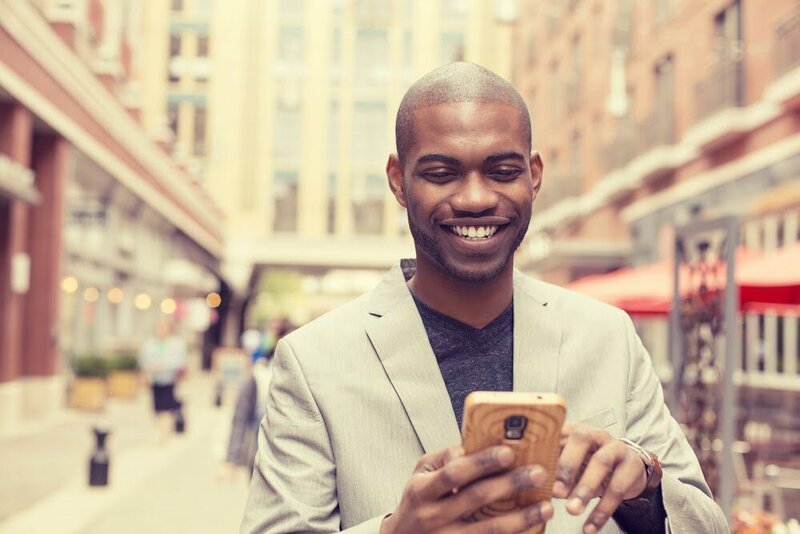 The researchers wanted to determine whether the seasonal patterns and increase reflected general internet searches or vitamin D searches specifically. So, they assessed the Google searches for the terms “osteoporosis,” “rickets,” “back pain” and “folic acid.” None of these search terms increased exponentially between the years of 2004 and 2010. This indicated a rise in general public interest of vitamin D, reflecting scientific interest. 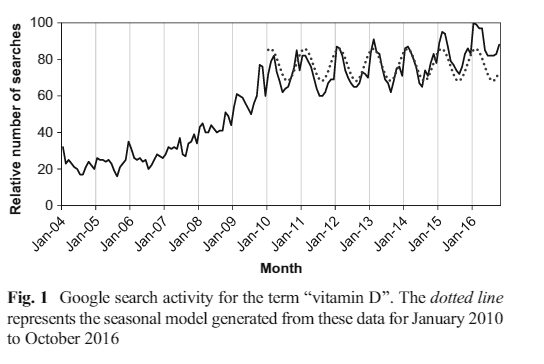 Furthermore, the seasonal peaks weren’t observed for the other health and nutritional terms, meaning that the seasonal peaks for vitamin D searches were unique and not indicative of a general increase in internet use. Tovey, A. & Cannell, JJ. New study illustrates an increased interest in vitamin D among the public over the past decade. 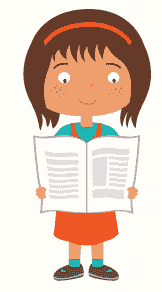 Vitamin D Council Blog & Newsletter. March 21, 2017. Moon, R. et al. Seasonal variation in Internet searches for vitamin D. Archives of Osteoporosis, 2017.